Thinking About Your First Massage? When you arrive, you'll be given a brief health questionnaire to fill out in the reception area. It's nothing too invasive, and it's mostly to find out if there's anything I should be aware of, like current injuries. Once that's done, I'll show you to my office where we'll have a conversation about your goals and your body. This isn't a test that you have to prepare for in advance, and there are no wrong answers. Before we begin, I'll take you through the basics. I'll tell you how to lay on the table (you'll usually start face down, under the sheet and blanket) and we'll have a discussion about how undressed to get. It’s entirely based on your level of comfort: you can leave your underwear on, or you can choose to remove everything. The latter can be useful if you need some hip work, but it's always up to you! Rest assured that, whatever you choose, you'll always be securely draped. I'll only uncover the areas that I'll be working on, and everything else will remain covered and out of sight. Once you're on the table, what do you need to do? You basically have one job: If something hurts, or if you're uncomfortable, I'd like for you to let me know. Don't assume that anything is "supposed to hurt," or that "she knows best" or "I'm probably supposed to be this cold." No, please speak up! I may be knowledgeable about massage, but you're the expert on your own body. If something doesn't feel quite right, I want you to trust your instincts and flag me down. The first few massages are a process of learning about each other, and my intuition can only take me so far. Your in-body experience is uniquely yours; only you can help me tailor the massage to create a best experience. Other than that, feel free to relax. You don't need to help me when I move one of your limbs—be a limp noodle and let me do the work. You don't need to keep your arms in any particular place, or do anything other than melt into the table. Don't feel like you need to make small talk either. You are here to fully relax and going inward is a big part of that process. I'd like you to really experience the massage. If that means talking or asking questions, please do. If that means being quiet and introspective, that's a wonderful way to help your body relax. We will have plenty of time to chat before and after the massage. One last thing: I don't care about your leg hair. Don't worry about stubble, or cellulite, or the noises your abdomen makes during the massage (this is normal, by the way—part of the relaxation response). I've worked on thousands of people, and there is nothing wrong with being fully human on my table. If you think that your body is flawed in some way, rest assured that I thoroughly disagree with you. After the massage, my main goal is to let you float on out. I may ask about any areas of pain that you had mentioned, and I may have a stretch to offer you. Other than that, we'll be handing you some water, making sure you are squared away for your next appointment (optional! ), and seeing you on your way. 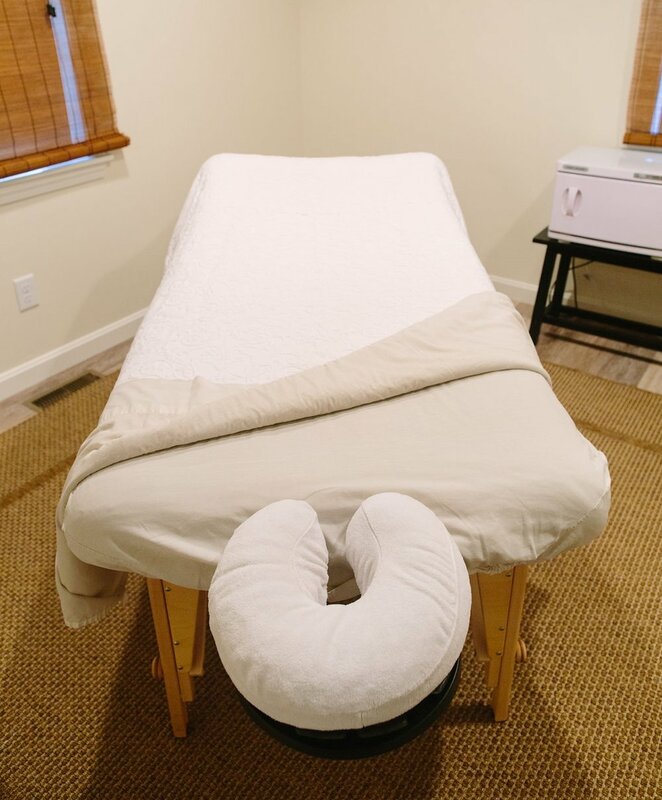 Thanks for reading, and feel free to share with any friends or family members who might be thinking about their first massage! I look forward to working with them.